The Rangers are now 10-7-1 and third place in the Atlantic Division with 21 points. Official recap here. First of all, it appears that the 'unscathed to boo-boos Blueshirts' will be joining the rest of the NHL with a list of injured reserve worthy of worry. As MSG policy, management was unwilling to publicly announce players injuries, Coach Tortorella sincerely reinforcing that Henrik Lundqvist just needs the rest while backup goalie Stephen Valiquette found himself in net again last night against the Calgary Flames after an impressive win against the Edmonton Oilers earlier in the week. Though he allowed three goals in net, only the third goal was your typical 'this is why he is a backup' chip into our net. Calgary's goalkeeper Mikka Kiprusoff (a.k.a. Kips) was dominant in net saving 32 Blueshirt shots on goal; the difference maker in the game would have been Henrik Lundqvist in net, but Valiquette was there to welcome the loss. It has been suggested to DARK that Henrik's unreported groinal issues are the result of our very own Sean Avery's shenanigans during practice yesterday afternoon, and we are now seeing the beginnings of a troubled locker-room; this could be the result of our instigator being delegated to the fourth line, limited minutes on the ice and instructed to keep a low profile when Torts says so. 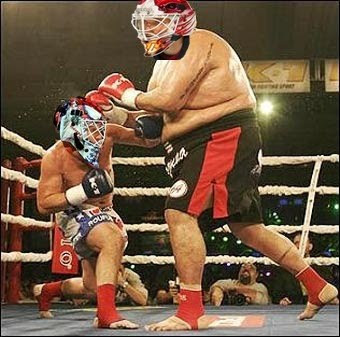 Fellow Blueshirts allegedly berated Mr. Avery as he continually challenged Lundqvist with verbal jabbings while storming the net at practice. SAVE IT FOR THE GAME, AVERY! If there is truth to these alleged Avery-isms, then someone has to maintain Mr. Vogue and put a leash on him (or another pair of weighted designer loafers). 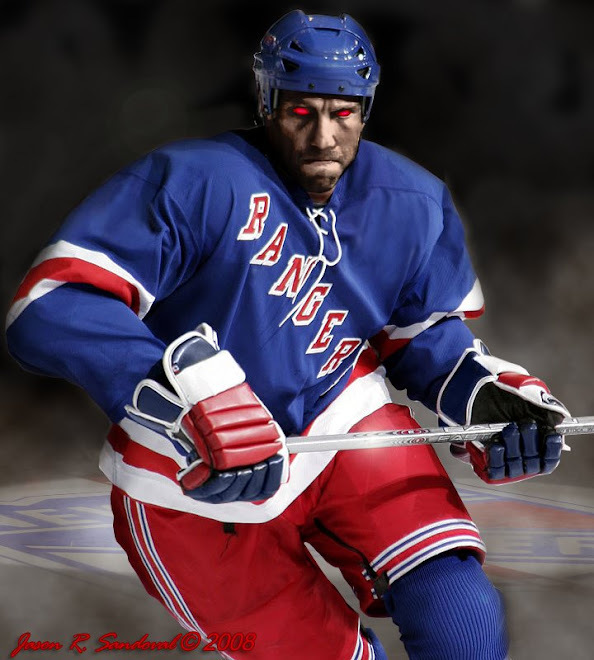 With only six of the 2008 Rangers wearing jerseys this season, most of the team has a deep-seeded dislike of Avery and unless he proves to be an asset scoring goals and making big plays, the squad is bound to turn on him. Tread carefully Sean and carry a big stick, and leave our prize goaltender alone. Brandon Dubinsky blocked a shot with his right hand, and it was apparent thereafter we will be without our hard-hitting, no scoring, contract-withholding center for a little while. NYR Coach John Tortorella felt that it was "one of our best games of the year", but I beg to differ as our (supposed) Captain Chris Drury was taken out in the first half of the first period with a late hit and no one stepped up - not one Blueshirt sent a message back. Game over. Despite his inability to score goals, Chris Drury is our Captain. Game over. Yes...it was a tight game and the Rangers fought the superior Calgary Flames, strong physical battle between both teams, but the Flames blueline was strong and threw off our gameplay with a good hit every other drive to the net. The Rangers blueline allowed (Pee-wee) former Ranger and now Calgary's Nigel Dawes three assists throughout the game -- you heard it here, the tiny little Dawes got past Wade Redden and Rozzy twice. Surprised? So the West Coast swing is over and we took 2 points out of 6 -- it is time for rest and revitalization, healing time for injuries and bad mood swings. We next see the Atlanta Thrashers on Thursday and hopefully until then, Coach Torts can put the Blueshirts back into focus. Until then, Let's Go Rangers fans!